Alex is studying whilst working at Xtra Skills College, and hopes to be GasSafe qualified by Christmas 2019. Alex has been with JLN since 2012 and is an important member of the team. 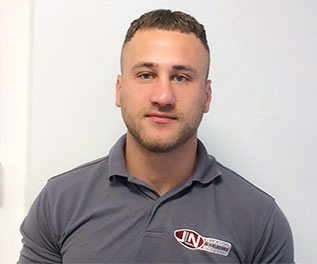 Alex started out his career with JLN as an apprentice and is now a plumber in his own right, with an extensive knowledge of domestic and site plumbing.